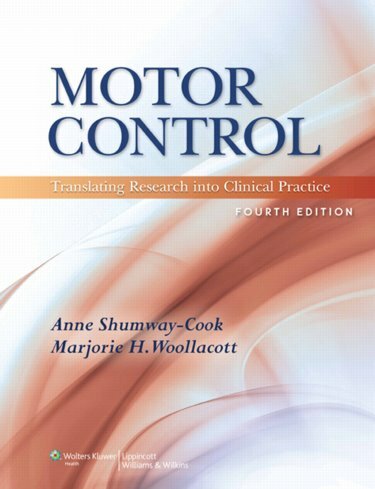 Abstract: Motor Control is the only text to bridge the gap between current motor control research and its applications to clinical practice. The text prepares therapists to examine and treat patients with problems related to balance, mobility, and upper extremity function, based on the best available evidence supporting clinical practice. This edition provides the latest research findings and their clinical applications in postural control, mobility, and upper extremity function. Drawings, charts, tables, and photographs are also included to clarify postural control and functional mobility, and laboratory activities, and case studies are provided to reinforce key concepts. Videos on the back of book DVD examine motor control deficits, including deficits in postural control, mobility, and upper extremity function in different types of neurologic pathology (stroke, cerebellar pathology, cerebral palsy, and Parkinson's disease) as well as in balance impaired elders. These videos can be viewed in their entirety or in the following segments: impairments, postural control, mobility, and upper extremity control. This video enhances the clinical coverage found in the textbook.